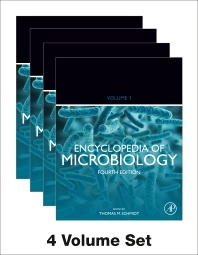 Encyclopedia of Microbiology, Fourth Edition gathers both basic and applied dimensions in this dynamic field that includes virtually all environments on Earth. This range attracts a growing number of cross-disciplinary studies, which the encyclopedia makes available to readers from diverse educational backgrounds. The new edition builds on the solid foundation established in earlier versions, adding new material that reflects recent advances in the field. New focus areas include Animal and Plant Microbiomes’ and ‘Global Impact of Microbes. The thematic organization of the work allows users to focus on specific areas, e.g., for didactical purposes, while also browsing for topics in different areas. Prof. Schmidt has been investigating the structure, function and dynamics of microbial communities in natural ecosystems for over 20 years, most recently focusing on microbial communities in the human GI tract. His group helped pioneer the methods for culture-independent metagenomic analyses and continues to refine and apply these methods to track microbial populations in nature. In 2015, he initiated the Michigan Microbiome project with the goal of elucidating principles underlying the structure, function, and dynamics of the human microbiome. The ultimate goal of this project is to manage microbiomes to benefit human health. His laboratory has also pioneered methods for cultivation of bacteria under alternative atmospheres, including low oxygen environments. He is full Professor in the Departments of Internal Medicine, Microbiology and Immunology at the University of Michigan; committee member at the American Academy for Microbiology and American Society for Microbiology; editorial board member for a number of journals, including Annual Reviews of Microbiology, and was Section Editor on the 3rd edition of Encyclopedia of Microbiology.